JERUSALEM—Tens of thousands of Palestinians are no longer getting food aid or basic health services from America, U.S.-funded infrastructure projects have been halted, and an innovative peace-building program in Jerusalem is scaling back its activities. Before the aid cuts were announced, it provided food aid— branded as a gift from the American people—to more than 180,000 Palestinians in the Israeli-occupied West Bank and Gaza on behalf of the World Food Program. 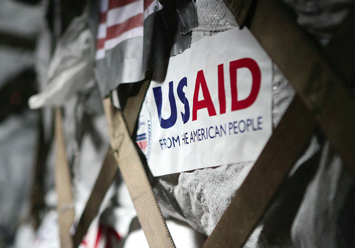 USAID had planned to contribute $19 million a year for the next five years to continue the project but pulled out in August. Global Communities can now only provide aid to 90,000 people through March, and Ms. Abu Hijleh had to lay off around 30 staff, including in Gaza, where unemployment exceeds 50 percent. The Trump administration has also cut off funding for peace-building initiatives involving Palestinians—even residents of east Jerusalem, which Israel considers to be part of its capital. The Palestinians want east Jerusalem, which Israel captured in the 1967 war and annexed in a move not recognized internationally, to be the capital of their future state. The group’s organizers acknowledge the longstanding criticism of such initiatives—that campfires and singalongs won’t bring peace to the Middle East, especially after a decade of diplomatic paralysis and little hope for resuming meaningful negotiations. Trump also halted aid to the U.N. agency for Palestinian refugees, which provides basic services to more than five million Palestinians across the Middle East, but UNRWA was able to narrow the funding gap with aid pledges from other countries.